One of the panels I went to at the Southern Festival of Books was titled Our Feet May Leave, But Not Our Hearts – Stories of Home and Place (I know, kinda cheesy title, but it was YA novelists so I was hooked), and the panelists were Silas House and Meg Medina. I’d heard of Silas House before and knew he was a Southern writer, but had not read any of his books. He read from a couple of YA novels of his, Eli the Good and Same Sun Here. Meg Medina, who I had not heard of, read from her YA novel, The Girl Who Could Silence the Wind. It was an odd coupling, I thought: a man from Appalachia with a deep, Southern drawl, and a bilingual woman whose parents came from Cuba. Yet it wasn’t, because both of them talked about the meaning of place and home. “In the South, people always want to know who your people are, where you come from . . . but I think Appalachia is a microcosm for what happens all over the country,” House said. He proves that in Same Sun Here, which is written as a series of letters between a twelve year old coal miner’s son in Kentucky and a twelve year old Indian immigrant girl living in New York City. From the sections he read, it seems that the two seemingly opposite youths find a common ground. They both have secrets. They both have sorrows. They both love nature. I still have trouble answering the question, “Where are you from?” How do I explain that my people are a people far away who don’t look like me and don’t talk like me, but they love me. I tried to learn their language and their food and their ways, and then I fell in love with them. And also that my people are Southerners, who eat fried cornbread and pinto beans and still hang sheets on the line to dry and pile on too much make-up for the family reunion? And also that my people are Nashville, where I’ve lived since 1996, and they know what I mean when I say I miss Dancin’ in the District or I love SATCO? What is a girl with no home to do? Interestingly, House and the co-writer of the book literally sent the hand-written letters through the mail to each other. “I was lamenting the loss of letter-writing,” House told us. I think that place and letters have a unique connection: I can get an email anywhere via my phone or my computer, but I can only get a true, old-fashioned letter at home. There is a comforting permanence about them both; I may delete an email away, but a hand-written letter goes in a drawer, or in the pages of a book, or in some secret box somewhere. I may find temporary comfort in a hotel or in my workspace or at a friend’s house, but no place in the world will wrap its arms around me like home. Still, I don’t think I’ve found home yet, really. Sometimes I wonder if I search for home in the books I read. 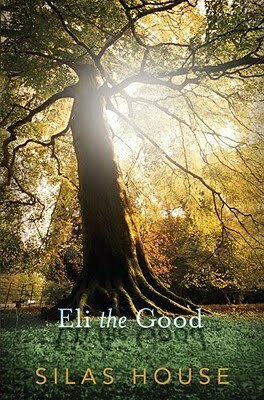 I bought House’s book Eli the Good and read it in two days. It made me long for those summer days I spent at my grandma’s house, climbing trees and racing around the yard with my cousins. Days we stayed outside and breathed that summer sunshine air the whole day, even after the sun went down, so we could catch fireflies and corral them in a jar. So here I linger. A girl caught between places. Just trying to see the beauty no matter where I am. Love this post, Karissa. I don’t usually read YA, but I think I might have to give Silas’s books a try. I enjoyed hearing him read and sing at the Bluebird Cafe on Saturday night. I hear you on having no home… I lived 37 years in Jackson, Mississippi, and 24 years in Memphis, but neither has ever truly felt like home. Well, maybe Jackson did at some points in my childhood, but I don’t miss it. Like you, I’m still looking… and maybe I’m creating it in my writing. I think some times one where feels like home because we always leave unfinished business behind. I’ve lived in 10 or 11 houses/apartments (not counting college) in 5 cities (if you count ‘middle TN’ as one). Never anything as far as your experiences in Thailand, but each move felt like a change even if just a different neighborhood. Is it okay for our heart to be in many places? Seems that with each ‘move’ we leave a piece of ourselves behind. A piece in those we love and in the memories. Therefore if ‘home is where the heart is’ our homes are never going to be in one place. Yet, one thing that seems to follow whereever we are is our faith. I think the only consistent feeling of being home for me has been when in prayer. Good point! Yes, I think we leave a bit of our heart behind, and also take something with us from each place as we move forward. I always come back to home is where the heart is, as cliche as it may be!